Warner Bros. Interactive Entertainment and TT Games recently released a new trailer for The LEGO Movie 2 Videogame. Featuring Emmet, Lucy and other popular characters, the trailer teases what fans will expect come February. 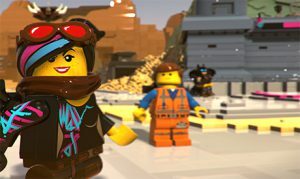 The LEGO Movie 2 Videogame will be available on February 26th for the PS4, Xbox One, Switch and PC. The game will offer over 100 playable characters including Batman, President Business, General Mayhem and more. Be sure to check back here as we continue to cover this title.